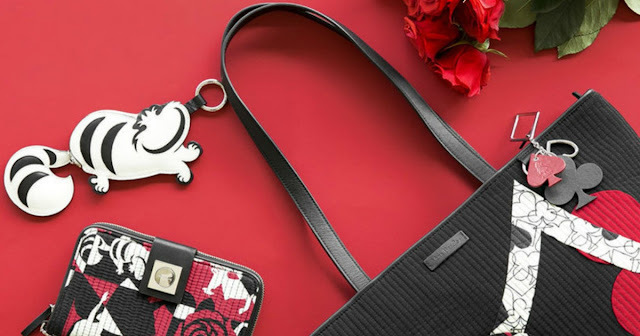 Right now over at shopDisney.com there is a HUGE sale on the Vera Bradley Alice in Wonderland collection! To make this deal even better, you can score an additional 25% off when you use promo code SAVEMORE at checkout, PLUS get free shipping on orders of $75 or more with promo code SHIPMAGIC at checkout. Shipping is free on orders $75 or more when you use promo code SHIPMAGIC at checkout; otherwise, shipping is $5.95.